I absolutely recommend this thick, creamy and delicious honey. I've never tried a raw honey before but once I had a taste I knew this was to be my favorite sweetener. 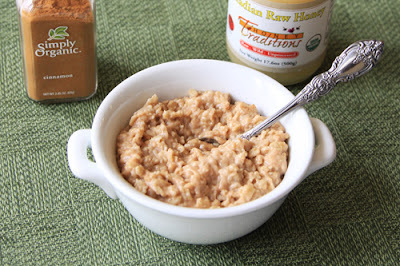 We tried it in our oatmeal just like the recipe below. I added a bit of nutmeg to give it that little bit extra. I will never use any other honey again, it is that good. Bring water to boil in a medium saucepan. Add oats and cook for 5 minutes, stirring occasionally. After 5 minutes add honey, cinnamon, Coconut Cream Concentrate and seeds (if desired). Let simmer for 5 more minutes. Serve with extra honey and cinnamon to add to taste.